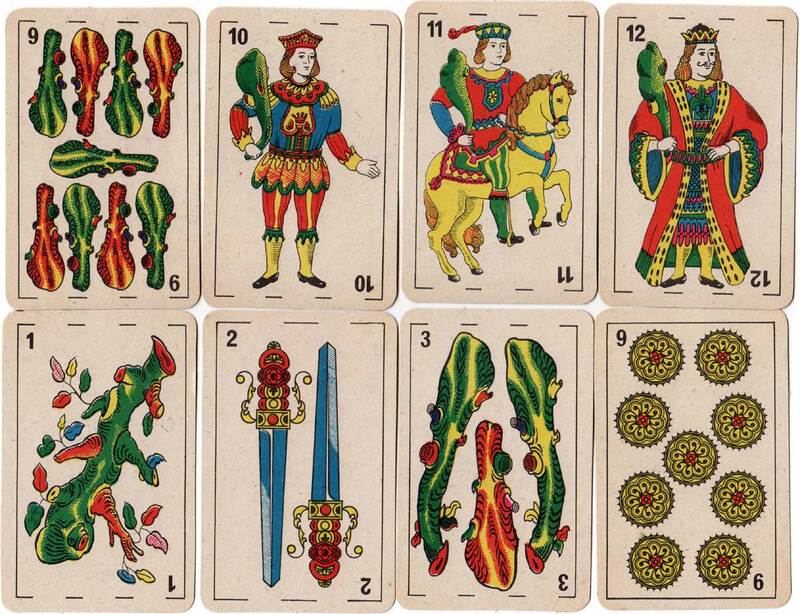 Several editions have appeared carrying the title "Punto y Banca" somewhere on the box or joker, with a re-drawn version of the Catalan pattern along with various jokers and back designs. 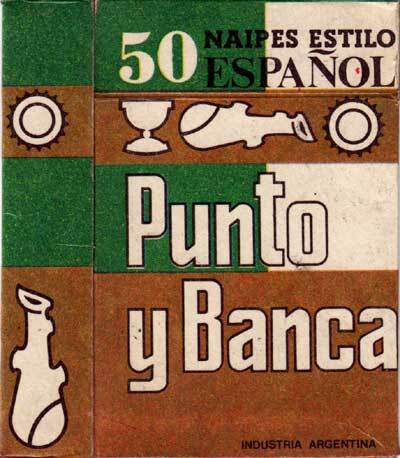 Above: “Punto y Banca” naipes estilo Español published by Editorial Gráfica Flores, c.1974. 48 cards + 2 jokers in box. 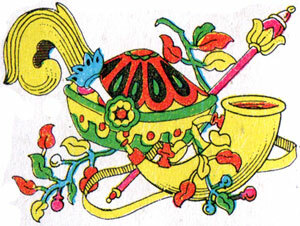 The four of coins has a roulette wheel motif. 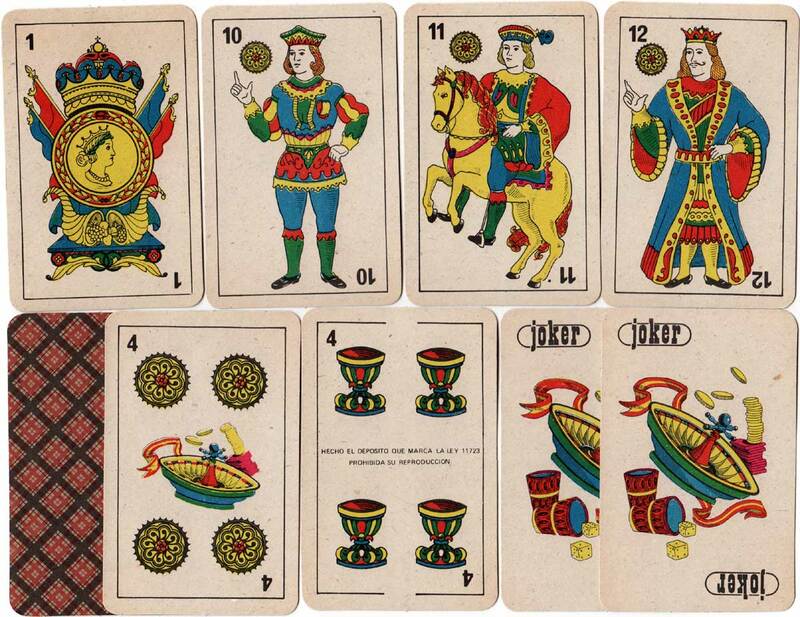 Further editions using the same court cards and ace of coins exist, but with different jokers, publishers and brand names. The precise dates of the various editions are not known so we are not sure which is earlier. 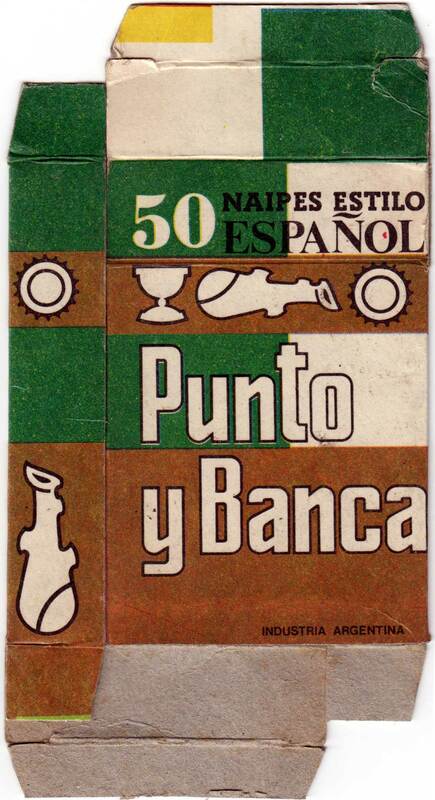 Above: The box flap states "Pro Graf Industria Argentina". 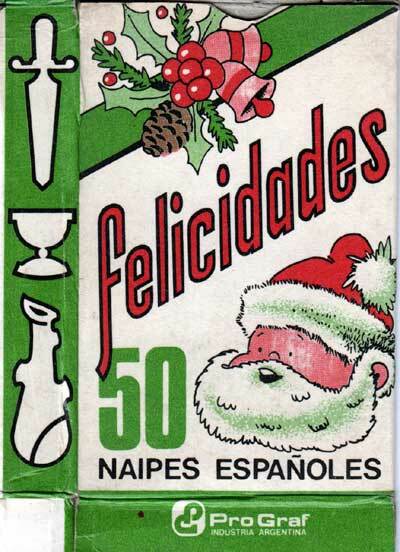 Above: “Felicidades” naipes Español, c.1973. 48 cards + 2 jokers. 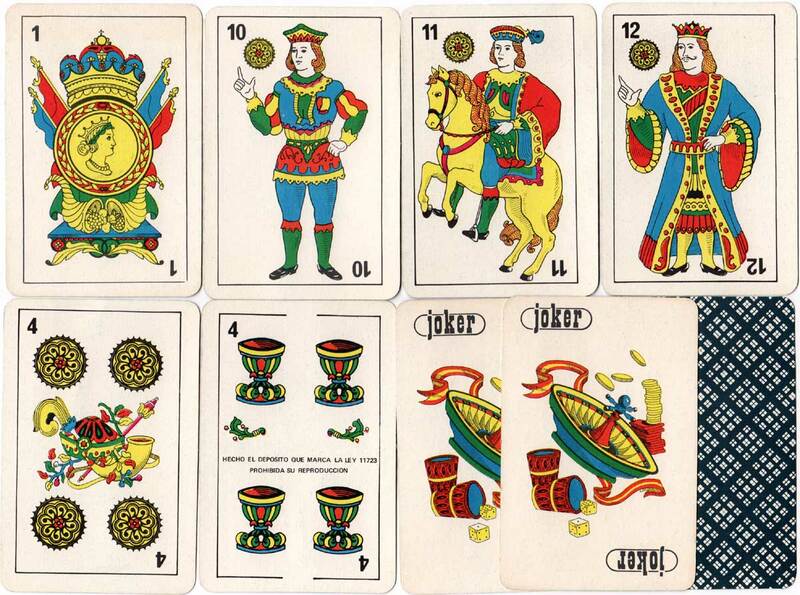 The same ace of coins and court designs are used as in the “Punto y Banca” decks shown above, including the roulette wheel jokers, but the four of coins features a different motif and the four of cups has extra decorations. The box states "Pro Graf Industria Argentina". 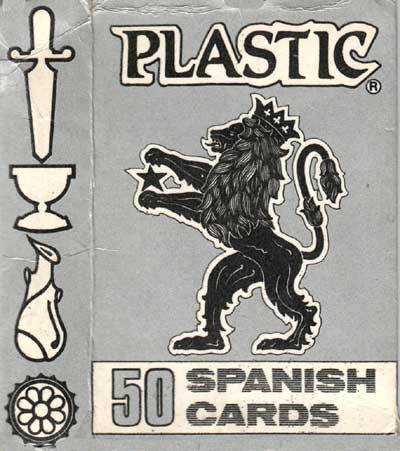 Right: the box states "Made in Argentina by Plastic License for Export". 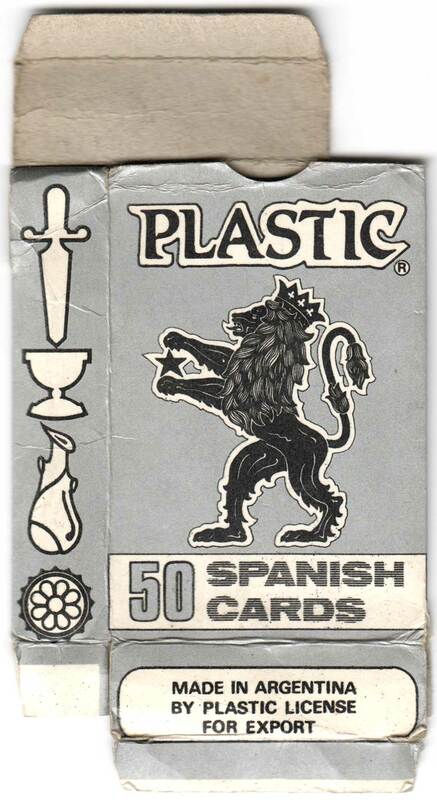 Above: “Plastic Spanish Cards”, c.1974. 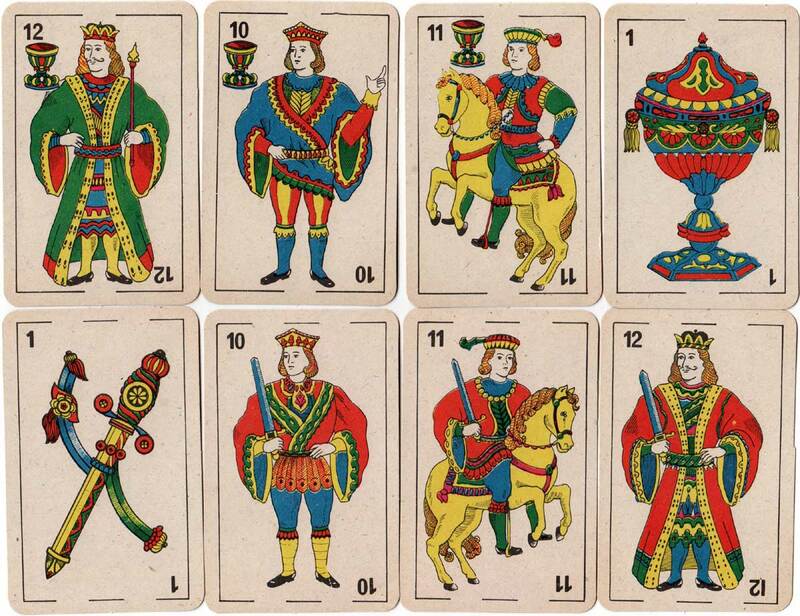 48 cards + 2 jokers. 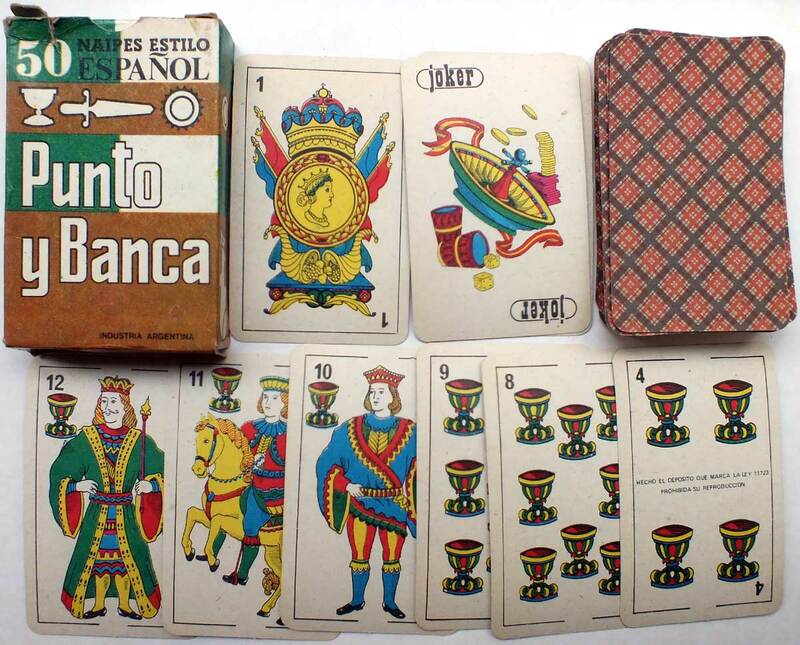 The same ace of coins and court designs are used as in the “Punto y Banca” decks shown above but the four of coins features a different motif. 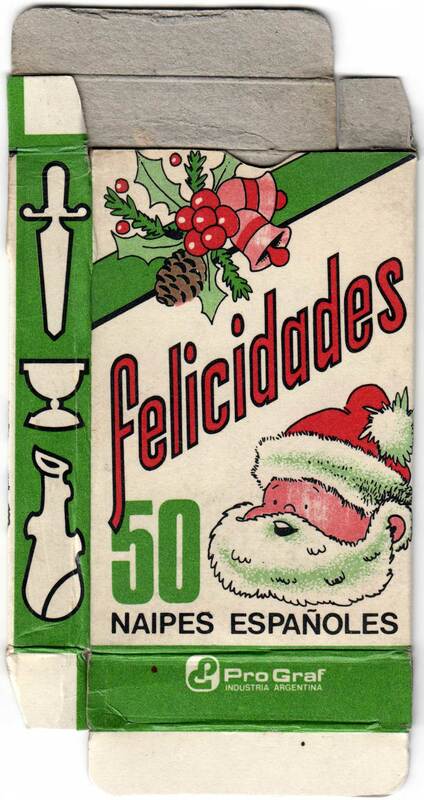 The box states "Made in Argentina by Plastic License for Export" and "for professional use". 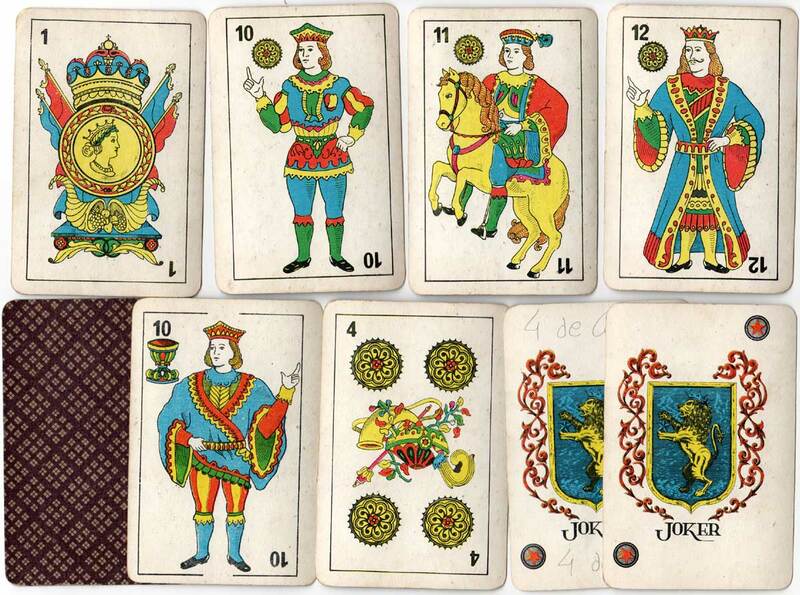 The joker design is distinctive with a crowned lion holding a five-pointed star, which also appears on the box.